Work for Google Data Studio? Learning about Google Data Studio? "Much more freedom in reporting for agency"
The ability to pull data from multiple sources and easily create visually appealing and easy to understand dashboards has been a great help for our agency. We like to provide our clients with a dashboard link which they can view at any time. However some third-party connectors often 'disconnect' and the data shows us missing. At this point, we still have to check certain dashboards regularly to ensure they're working fully. Build out some test reports using the free (google) connections and see how you like it before committing to the cost of a third-party connector. Before getting starting on a test report, spend some time with pen and paper figuring out what information you want/need. There are a LOT of possibilities once you actually start building a report, and time can quickly get away from you playing with this chart or that graph filled with this metric or that one. Google Analytics is a great tool with lots of data, but reports can often be hard to find and definitely not attractive or easy to understand for some clients (not to mention limited - 3 columns per table? come on!). As an agency that reports on site and marketing data regularly, we spent a lot of time copying data from one place to another, or taking screenshots and inserting them into documents. Exporting data to Sheets and using that to create graphs and charts was also time consuming and there was a decently large learning curve. "Great simple BI for free!" Data Studio offers a clean, simple interface for building charts, reports and dashboards and - currently - is free. Simple charts are very easy to build. New features are released regularly, including an extremely useful one recently they call "Data Blending" that is essentially joining data sources together into the same chart. There is a learning curve - there are some idiosyncrasies (as with any tool) around how Data Studio works with data sources, how it expects the data types, how formulas are used for calculated fields, etc, and this takes some getting used to to fully understand. For example, I recently had an issue where Data Studio was only displaying 2 months worth of data instead of the full 7 months in the database, and only after lots of debugging did I realize the root cause was that Data Studio wasn't properly recognizing my date fields from the database, and so I had to adjust the data source to do some custom formatting first. This is a non-obvious problem that I would only have known about by using and testing the product. Keep up with the release notes as the product keeps changing (for the better!) The best way to learn this tool is, in my experience, just start playing around with it. Given that it's free and connects easily to all of Google's services, as well as any standard SQL db, there's no harm in connecting a db or two and playing around with it. Chances are you'll pick it up quickly and immediately start to see the value. I expect to continue to use this for simple dashboarding but possibly invest in a more heavy-duty BI tool down the road as our needs become more sophisticated. My team wanted a simple, easy to use BI reporting tool to get a dashboard with some data we have in a database. We tried AWS QuickSight but I like Data Studio better. The interface is better and the "blend data" feature gives us way more power. We've been able to create a dashboard and make it available to business stakeholders with minimal time, effort and money. "In -depth data visualization for Analytics"
We have used Google Data Studio with Google Analytics to get better insight and information . It is a powerful way to integrate several tools into one place and pull those data into beautiful reports that can be edited and viewed easily. There are so many things to play with . It can be confusing to work around it in the beginning and understand what the data really means. A proper training / demo session is required to get most of it. Another awesome product from Google. If you want to get deeper analytics of your business , use Data Studio with your GA. The best feature is that your able to see where your traffic is coming from and see if the content on the website is valuable or not. So helpful software, I am using it to see where traffic is coming from and how well they are converting. It's easy reporting. eventually, I think it will help me improve my conversion rate. But I need to understand it better for that . "Great Data Visualization made easy!" The possibility to drag and dropo data sources, and easily manage data filters and getting my reports done! I love providing my clients with a direct access to data: I save a lot of time on data reporting and I can focus on strategic issues, with dashboard that are always accessible and with a smart data visualization, very easy to understand. All of the platform/web service that don't provide any free integration with Google Data Studio. Unfortunately not all marketing platform provide direct integration with Google Data Studio, but there are some useful professional integration tools that bridge data between your platforma and Google Data Studio. Obvioulsy, they are not free. Try it. It's free.And You wille not go back to old fashioned excell tables and graphs. Try for example to create a new dashboard with both your Google AdWords Campaign data and your Google Analytics data. You will be able to make smart comparison at a glance, and you will save a lot of time! I used to privide some of my clients reports on a DAILY basis: a huge ammount of working hourse within one year, and a hard job. With Google Data Studio I managed to implemented within a couple of hours a wonderful and smart dashboard they could access at any time. I saved a lot of time that I could dedicate to strategic tasks, and my clients were happy to be able to access data autonomously. "Excellent free software, however can be a little confusing at times"
The real time website analytics data is very useful because it allows you to easily see how many users are on the website at certain times of the day. Google tracks the users and provides you with the times of the day that are most popular, this allows you to increase website bandwidth for the times which are the most popular. I find that both the demographics and audience acquisition pages are confusing and I find them hard to understand. I believe many other Google Analytics users also do feel this way. I would like to see these pages more modernised and simple to understand. Also sometimes the tracking code seems to be unreliable and you have to try multiple times before google eventually starts tracking the website. This is not a big problem but can be annoying for a new user. I have used Google Analytics for several websites I have created in order to view my audience demographics and also view real time website statistics. I like the 'Active Now' feature as it allows me to track at what times the website gets the most visitors. "Extremely in depth, not extremely user friendly"
The ability to create goals, evaluate website traffic and understand user experience makes Google Analytics an invaluable tool. The dashboard they provide is very easy to understand and gives a great overview of your website traffic. I love that you can have a surface level understand of the data and then are also able to dive deep into the specific data, for example you can see in a colorful pie chart of where your traffic is from and then click to see the breakdown of social traffic. This is great if you have a campaign running and you want to see the effects. Google Analytics dashboard is overwhelming. Without a full-blown course and becoming certified you will barely be able to navigate the platform let alone use it to its fullest extent. Even now I feel like I am always learning something new. I have been using the platform for two years and started with a new company and found out about a bunch of features I didn't even know existed. This is a really great platform with tons of data to the point it can be overwhelming. Make sure you educate yourself on the best use of Google Analytics before implementing any campaigns utilizing its data. We utilize Google analytics for evaluating web traffic and marketing efforts. Part of Google Analytics that is extremely helpful is their goals tool which allows us to track users going through our marketing campaigns. "Excelent tool for Analyzing your site, but complex to configure and take advantage of (free version)"
The free version of this tool is very powerful. With it you can collect lots of data from visitors to a website, analyze insights, generate reports and link it with other tools such as AdSense, Google Search Console or Google AdWords. It is also possible to perform A / B tests. Everything without a license fee. There is a premium version of this tool, with a high cost, designed for large companies that want to analyze millions of visitors. But for 95% of companies, the free version of Google Analytics is more than enough. I will point out three drawbacks. On the one hand, it is a complex tool to manage and that requires a minimum of prior training. In our case, we are an agency and we take care of configuring it for our clients, but someone who starts with it is convenient to receive specialized training. On the other hand, the tool does not collect any personal information, so it does not serve to analyze users or specific visits, but analyzing aggregated data. Google Analytics is a complex tool with many features, even in its free version. I suggest that you receive training to manage it properly. With this tool we can analyze and measure what happens in any website, something essential when carrying out online marketing campaigns. Measuring is necessary to improve any online process. "To control everything around me"
The very nice software and I were surprised that almost all things are free. I was afraid that I will have a problem with use it that it is was my mistake. I really like to work with nice analytic tools.Pretty nice to receive new things coming up from the platform. Actually not so bad tools. And for a free version, it is work so well. Of course, sometimes I can't so fast to cooperate with some tools. It is because a lot of great tools and I can't choose the right one. So I take it slow. The good program to improve your business.To build up your audience.To make the best tracking of communication.Can be easy analyzed through mobiles site. Very helpful for me and my teamwork.Help to us to track conversion. Very open analyze of service resources making for us to reach business goals.And increase my guests who are coming to my site. "Huge Potential, but still performs like a Beta product"
Charts/Graphs are relatively straightforward to build and encompass the types of data visualization necessary to pack a punch on a report. The date range widget is handy, and allows the recipients of my reports to dynamically check their stats and interact in real time with information from our CRM. When building a chart/graph initially, there is a data lag between the source and population of the chart. I have had to learn workarounds of connecting/reconnecting data sources to refresh instead of the actual "refresh" button working. Also, have struggled to find documentation and/or community support for anything above Data Studio 101. The basics are easy to learn, when I got deeper, I hit a wall. Be patient while they work out the bugs and find some workarounds in the interim. My CRM has limited data visualization capacity, so I export it to Sheets, then Data Studio to measure custom KPI's for our business. This allows Sales reps and customer service reps to track performance against each other and self-manage. "A versatile and functional tool in the area of Marketing." It is a software that allows us to easily create web reports, social networks, marketing campaigns, among other things. Its design is quite friendly and easy to use. Transform your data into very visual reports and dashboards that are easy to read, interpret and above all that you can customize to the needs of your business which will allow you to make better business decisions in real time about what is happening in your business. It is also free. So far we really do not have any negative aspects to highlight from Google Data Studio. We have had a great experience with this platform and it has generated more advantages than disadvantages. One aspect that could be improved is that one of the best functionalities of the Google Analytics panels is not available in Data Studio: the programming of sending by email periodically, it would be very useful to incorporate it soon. As well as the extension for Google Data Studio PDF Export Chrome that inserts the option to export the scorecard, usually has difficulties with dashboards in formats and unconventional proportions. My experience has been quite satisfactory with Google Data Studio, it has generated us many benefits in the company because it has helped us to translate our work, our data, in a very understandable and apt way. It is a tool that helps a lot to improve Marketing campaigns, as well as having a simple design that allows new users to adapt easily. As a company, it generated multiple benefits, of which I can detail that it streamlined our process to create web reports and capture our information when building useful and actionable dashboards. It is an interactive and dynamic tool that perfectly adapted to our needs as a company and that facilitated many tasks in the Marketing area. I would recommend using Google Data Studio for other companies that want to work with accessible, simple and productive platforms. "Love GA - It Gives You The Power!" I love how Google Analytics has a blend of pre-loaded standard reports and the ability to customize reports at the same time. It gets you started and empowers you to find the most important data and visualize it for yourself. I sometimes dislike that it lacks the simplicity that I really appreciate in other digital analytics products, but overall it's somewhat to be expected because of how complex the data can be. Spend the time learning how to use analytics to its fullest potential, otherwise you won't realize how much data you're missing out on and will regret not taking the time to learn the product better. Tracking conversions to find the most effective channels and optimize our marketing efforts and resources on the most profitable channels. "Great Way to Monitor and Improve Website Traffic"
Like most Google products, Google Analytics can be as simple or complex as you want it to be. It is a great tool for understanding your website traffic, visitor behavior, and website effectiveness. Develop customization for whatever you are looking for out of a website. Learning curve is definitely part of the process. There are a lot of different aspects of the platform that you really need to understand to make sure that the analysis that you are developing is correct. Make sure you take some time and learn the different functions of the platform. Google Analytics solved our questions regarding our website traffic. We were able to develop and understanding of who our customers are and what they are looking for. "Nearly Perfect Data Viz product"
The way data studio integrates with google products (google analytics, google sheets, etc) is just plain awesome. The ease of building data visualizations to gain insights is suprisingly simple. Simplicity in sharing is great too, no more worrying about paying for licenses for one of the bigger data viz products. Multiple great built in data connectors, and community connectors, make this a must use product from google. Since it is from google that means it is still in Beta, which means it is changing as they develop it. Date ranges need improvement, at time of this review you are not able to set a date range to fixed start, which is my preferred way to setup charts so as new data becomes available it autopopulates. Take the time to Learn. The more you learn, the better you will be at using Data Studio, and the better your data insights will be. Start with simple google analytics, but branch out into the other data connectors to begin supercharging your collaborative analysis. Great data viz without the hangups of cost and licenses. We use higher power software for other things, but for cross team digital analytics that data studio was built for, it is perfect. We no longer have to look at the cost for adding users when we want to share Google analytics dashboards. "Google Data Studio - Building Beautiful Reports Easily"
Google Data Studio is a powerful way to integrate several tools into one place and pull those data into beautiful reports that can be edited and viewed easily. It was very easy to use, and if you've created custom dashboards and custom reports in Google Analytics before it is something that you'll be able to use easily. Google Data Studio is still in beta which means that it will still have some bugs and updates in the future. As of now, since it's beta we don't know the clear plans for it yet. I also didn't like that the beta only allows for 5 reports to be created in your dashboard. And there's no way of downloading or printing the reports unlike Google Analytics which allows you to export in CSV or PDF. Try different dimensions and metrics in your reports. Don't forget that you could also create your own custom dimensions and metrics which you can pull out in these reports. Also, the beta version might be limited so make sure you still have some sort of backup on your data. Google Data Studio has allowed me to create more granular reports based on specific dimensions and metrics I specify. I was able to create a traffic report, pagespeed reports, conversion reports based on different metrics available inside Google Analytics. Because of this, I was able to easily identify the best pages on my site as well as identify which pages needs more attention. This has helped me increase my website's conversions. I love that you can use it for several different websites and how easy and intuitive Google is to use! It is a lot of data and can be overwhelming to a new user. (There is a learning curve- once you understand what you are doing it gets a lot easier to comprehend the numbers). Jump right in! Learn about what you are looking at- it doesn't help if your organic traffic goes way up but your bounce rate does as well. Learn what the numbers mean and what translates into buyers/clients. If you have a website and you are not utilizing this free and awesome tool, you should be!! It's even better if you have a digital marketing specialist who can run the numbers and analyze them. Google is continuing to kill it with their free offerings. Thank-you Google for all you do, and for making my job easier! Clear data to give to clients regarding search traffic. Google Analytics reports are an excellent and easy way to show that organic traffic has increased, for example. There are so many metrics to look at- bounce rate, pages viewed, referral traffic, direct traffic, etc. This is excellent for our clients to look at. "Best Tool For Seeing Website Traffic"
There is so much information and I feel that if your ever starting a website you should have this installed so that you can understand your visitors. The best feature is that your able to see where your traffic is coming from and see if the content on the website is valuable or not based on the data that is provided on GA.
Understanding our website changes is probably the biggest problem we are solving with GA. With out GA we would not be able to see what our visitors are doing on our website. GA has helped us make better decisions on the web changes we are continuing to make. Since it is integrated to the G Suite and solutions we find it pretty effortless to gather data and create a very graphical representation of our sales and business development. It may sometimes appear to be a bit frustrating as the customisation is pretty limited; even if this issue is addressed with a possibility to enter a "dev" mode; you can't easily come down to the exact type of graph you had in mind and some recent competitors (even less powerful) have been developing such features. We make sure that all the data we keep on Spreadsheets is graphically presented to the staff as a motivational tool and informative document. "Must Have Tool For Everyone"
The page traffic. It lets you know which pages visitors are looking at and metrics for those pages. Having this information is crucial when making optimizations on pages or getting ideas for new content. It is a lot of information so you have to dig until you find the useful KPI's. Also for new people it is a very complex tool and can be a bit overwhelming. Its a must have, there are more user friendly analytics softwares but nothing compares to this free too. There are also a lot of free resources online to help you learn this software. I am using it to see where traffic is coming from and how well they are converting. I handle the paid digital advertising for my company, so I can see which landing pages are getting the best traffic and converting. This helps me then optimize my landing pages and can tell me if I need to change my audience to get more qualified traffic. "Google Analytics provides key marketing data"
I love being able to see where our customers are coming from and which websites are referring customers to our site. This helps us better spend our limited marketing dollars where it really counts. I wish there were more ways to examine our website visitors based on a variety of features at the same time - such as how they were referred, their demographics and geography - all together in one chart. Find a course online or use Google's own tools to ensure you really understand how to use this powerful tool - that was one of the best things I did before starting to use Google Analytics. We have been able to solve one of our biggest business problems through the use of Google Analytics - knowing where our customers go on the internet and where to reach them. This has helped us not only communicate better with existing customers, but reach new customers as well. "Google Data Studio is a must have for every business on the Google stack"
There is a lot of reporting software available online but none work so seamlessly with core Google Data Sources like Google Data Studio. Say you want to report on Google Analytics - you click through a couple easy menus to choose your specific property and view and then you can instantly drop in and configure controls. No wading through control templates or dealing with cludgy user interfaces. Data Studio provides a "grab-your-data-and-go" solution. It's still in Beta. It wasn't available in Canada for almost a year after launch. Some controls aren't really intuitive (looking at your date selectors). If you use the Google Stack for your digital marketing efforts it is well worth it. I wouldn't bother with any other solution. Creating reports that are linked directly to your Data Source allows your team to have an evergreen set of metrics to determine how close you are to meeting your daily, weekly, monthly, quarterly goals. Data Studio gives you a place to start your day and benchmark your success. 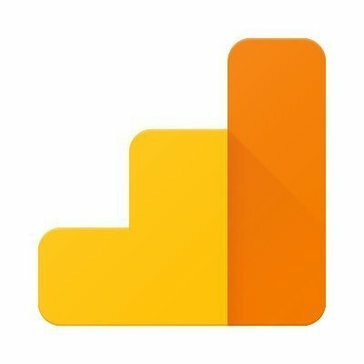 "Amazing, Google powered free reporting tool for digital marketing"
Google Data Studio is easy to use and adaptable to many different business cases, which is invaluable to a complex marketing and software development organization like Vendasta, who works with many partners with many different business models. It's easy enough for marketers to understand, and can dig down into data as deep as the technologists want. So easy to draft up a report to show our partners exactly what and how well we're doing things for them. It's currently in beta, so there is still some restriction on usability. Many other reporting services have more control flexibility and data sources than Data Studio, but this will likely open up once Data Studio moves out of beta. Google Data Studio is a serious heavy-hitter when it comes to developing report and showing proof of performance to partners and clients. Many partners/clients don't fully grasp what our organization is doing for them, and Google Data Studio gives us the impressive numbers to prove our services as invaluable. I like the amount of information available through Google. it makes it easy for me to create my monthly and quarterly reports. I don't find the UI particularly intuitive. It's not always clear to me where to find what I am looking for. I'm getting there, though. You really need an outside tool to help make sense of all of the information. Get some training on it. There is so much good info, but you need to understand how to get to it. SEO and Google account management. Easy reporting. eventually, I think it will help me improve my conversion rate. But I need to understand it better for that. "My insight into Google Analytics"
Google Analytics solutions offer a unique and informative insight into my websites output. Enjoy the simple to navigate user interface Google offers, as well as the completely web-based solution that makes it easy to use from anywhere. I've had inconsistent exported reports off and on sometimes, leaving me with more data than I'd want, or not enough data that I would like. Given that I know I'm not the only one that has these issues, I'd like to see Google spend some more time working on a thorough and very customized way to export and even import some data. It would be appreciated if the exporting of data was worked on from a usability point-of-view. Marketing my website and analyzing the data is made very easy by Google Analytics, and I appreciate their ongoing customer support as well as the attention to detail throughout the UI. Take the free training courses provided by Google. It takes you through the basics including set up, implementation, and basic reports. They also have courses that show a more advanced use of Analytics. The customization. It's easy to create different themes and style the widgets accordingly to make very visually appealing reports and dashboards. I wish they had more out-of-the-box data source integrations. Google Data Studio is a free product so you get what you get, but I don't like having to go through a 3rd party to get integrations. If you're looking to build reports from data other than Google Sources (analytics, search console, etc.) or just Excel spreadsheets, be prepared to pay for a 3rd party data integration. Data Studio helps us to visualize data, and more importantly it's efficient to use and doesn't take much time to create reports. It is free, so I can hardly complain. Visualisation options are good, and it integrates with a large range of databases. It allows my small organization (a charity) to use Google Sheets as a database (Sheets itself pulling data from Heroku). Error messages are absolutely unhelpful. Whenever a connection to a data source is lost, a field has been renamed, or other, the error message is always the like of "Error ID:123dsf132". Google Data Studio team members do not respond to users asking about this serious issue and other issues on the Google Product Forums. Loading times are slow. It is not possible to refresh just 1 chart on a Dashboard page, so refreshing takes me an entire minute, when I only have 8 charts per Page. When I took over ownership of the Dashboards from another user, all the charts stopped working (without showing any helpful error message). I had to recreate each data source one by one. I was not shown any way to prove that I did have admin rights over the prior Data sources. The list of functions with which the user can create statistics is insufficient, much smaller than the Sheets function list. The Help section is very underdeveloped. Accepted Date and Number formats are only a fraction of common accepted formats, which can make it a headache to "convert" your data formats into formats accepted by Data Studio. Chart types lack flexibility (ex: with bar charts, I can only have 2 dimensions and 1 statistic). The UI could be greatly improved. An example : while assembling a new chart, selecting a Data source and Filters is a headache because the names of these items appear truncated in the selectors, which makes a Source/Filter difficult to distinguish from those with similarly starting names. I have created the company-wide KPI dashboards, spanning acquisition, retention, product engagement, conversion, etc. "Real-Time Interactive Analytics at your finger tips"
Data studio allows you to create visually attractive web traffic reports for websites. Each custom report is accessible and sharable via an URL. The interactive components and ability to specify date-range are great features. Knowing how to create useful charts / tables by manipulating combinations of dimensions and metrics can be tricky. One needs to have a good understanding of available data within Google Analytics. Create custom and branded report from Google Analytics or external data source that's real-time and with 24/7 accessibility. We would create reports for clients whom we are managing website for. Clients love the simplicity of the report and how they can access real-time information 24/7 via a link. "One of the best free BI tool available in the market"
Easy learning curve, constant updates from google. Combining many data sources without any issues. Integration with other google services makes this tool much more amazing. Uploading CSV files is bit of challenging, most of the time it throws error such as "not in the proper format". If you are looking for an BI tool to start with, go for it!! We are using it for our internal reporting. This tool works quite similar to other BI tool, the biggest advantage is that, it is free. It does the job what it is supposed to do. "Looks impressive but doesn't do anything you can't already do with csv's and a spreadsheet"
Really ask yourself if it's really worth the cost If you have anyone in your company who's a dab hand with google sheets and knows what a .csv file is you can basically duplicate anything you could do in data studio for free. It does allow me to create infographic style reports for clients who prefer summary reports to in-depth, but I really don't find it to be worth the cost to make more than minimal use out of it with the free version. "Fast, simple to use data analysis and presentation"
Data Studio helps our business efficiently put together nicely designed and customized dashboards for our clients to review. Much of our data analytics on our client's websites use the Google suite of tools, including Google Analytics and Search Console. Data Studio quickly plugs into these data sources and allows you to even generate custom calculated metrics to help better explain what's going on on our client's sites. Making a visually appealing dashboard or report is very easy to do. The fact that the tool is free makes it all that much better. Data Studio does have a few drawbacks. Managing data sources and creating custom formulas can be somewhat unintuitive at times. Occasionally, the interface becomes sluggish on both Chrome and Firefox -- especially with many data points being displayed at a time. Data Studio makes it incredibly easy to put together pleasant reports and dashboards for our clients to review. It is also increasingly becoming an interesting way to explore data using its new explore features. Love the fact that you can combine google adwords, analytics and sheets into a single, sharable environment. Relatively easy to figure out after some stumbling, but would love if google provided certification programs on the academy, as they do with adwords and analytics. Keep plugging away at it - there's a great series on youtube that provides examples of what you can do with the tool. Our marketing team primarily operates within google sheets for collaborative projects and budget docs, so the ability to not only integrate this data into data studio, but fact that the output is simple and easier to digest vs accessing individual data points through analytics and/or adwords (especially for members of our team who are not familiar with these tools) is great. It makes your data look very nice. Does that make the data more useful? In some cases, yes. For us, it provides a helpful snapshot of some key metrics for our client campaigns. It's a bit cumbersome to pull non-Google data sources into Data Studio. You can do it via Sheets and other workarounds, but for us, it's still easier to use a dedicated reporting software that pulls this data automatically. But, Data Studio is free, and it does look nice. We use it internally for easy monitoring of metrics for our clients. For that use, it's great. "Awesome platform the most advanced free reporting tool"
its integration with google platform and seamless use. I am able to create easy to send out reports to clients withing minutes. I was frankly amazed at the products capability and after i started using the product, i quickly started implementing the product within my company. Every client i sent out a report to was very thankful for the document, and most were eager to see more of what we can do with the interface and wanted additional layers to the report. at the moment, just waiting for pdf exports. other than that, i cant think of anything that can be improved within the platform itself. at the moment, just waiting for pdf exports. other than that, i cant think of anything that can be improved within the platform itself. Its still in beta mode, i can't imagine what will happen once it rolls out of beta and is officially live. Definitely try it out. It can add another level of business service to clients previously unavailable. "Great, free analytics that's easy to implement"
Analytics is 'the standard' for many in regards to web analytics. It's amazingly easy to get going, and can go really deep in regards to analysing user behavior and tracking. Once you hit the 'cap' in regards to tracking, Google analytics turns absolute numbers into relative, which for some companies comes pretty quickly (e.g. start-ups) that lead up to a huge investment if you want to go into analytics enterprise. Make sure you set the structure of your event tracking up straight away, instead of doing it afterwards, it saves a lot of pain. Same goes for ecommerce tracking, make sure you design the data structure up front, in stead of afterwards. E-commerce tracking, user behavior, especially on-page optimising and SEO makes it worthwhile. Easy to hook up and create basic charts. The more advance data cripples the interface loading time. Use it and let your creativity run wild. So many dashboards can be created that will help prevent run the same reports pver and over again. What I like most is how collaborative the platform is. I send out reports every Monday to my director and he likes them and finds them useful! It sometimes glitches when using multiple data points or when changing the date range. Consider using as an immediate solution to a BI tool. There are better ones out there but this should get you started with more than enough for your business. In retail, business intelligence is key. We primarily use GDS to analyze our online marketing efforts and create easy to read reports to male decisions based off of our findings. "Easiest way to access Analytics "
I love that there is a live link available for myself and clients at any time. I dislike that sometimes the info isn't pulling in and needs to be updated. Find the data points that work for you and build the entire template around them. After you can make tweaks to the layout and the types of pie charts, etc you want to use. At our agency, my role is not SEO but I need to access the analytics regularly for many clients. These reports have saved some time and increased efficiency. I no longer need to stop an SEO in their tracks to pull up a report. I have 100% access all the time! "Google Data Studio: A Data Visualization Tool that is definitely worth a try"
Easy to use, Intuitive and clean interface. Beautiful visuals and the calculations are real quick. Create and share the report via URL to internal and external customers. Please Increase the support for third party connectors. Apart from that, things are really good with Google Data Studio. Give a try, it is super easy and quick. You will love it. We are using it for our BI needs. We create Dashboards, create reports and share it with our team. We also Connect Google Analytics for in depth analysis. "Good ideas but I need to play with the system more"
That you can create reports from connections to Google Sources and share the reports with the rest of your team who can view and edit them, just like you can with Google Docs. The representation of reports are eye catching. Love that it is free and small companies can utilize it without shelving out money for big software. More options when creating the representations, more color features and options to represent data would be great. Definitely worth creating a profile and playing with the system and different features offered online. Lots of fun reports you can do with the system. I haven't played enough with Google Data Studio to really implement it but it does look like it has great potential for representing and integrating data. "Easy. Straightforward. Fun. Time-Saving. " Superb for running big data and analysis. It allows me to show my skills at work, comprehend data and also pull our results that no other software is doing at this speed. I think that one has to just get used to the various functions and then this is super easy. I run a lot of studies for my research and this is great for content analysis as well. There should be some more updates to the software so I can use it with ANOVA and R-World. If you are in the field of research or are entering the field or research or know anyone that does research -- this is a fantastic tool for them. Great for university higher education uses, offices, research institutes, research centers, and government offices. I do not run a business. I am researcher. So what I did with SPSS before I am doing with this software now. The positive side is that I can do content analysis, textual analysis and script analysis. "Good even for a beginner"
Google analytics helps me, a novice at all of this data analytics, to get a good sense of how my website is performing. I wish it had more tips for improving numbers that you don't like, or for increasing engagement with your site. It has all of the basics you need, as well as lots of bells and whistles you can learn to use. I am realizing what pages my viewers visit, helping me learn what type of content they are looking for so I can tailor my site. I learn where my visitors are coming from which helps me determine who is looking for my services. "Robust Web Traffic Reporting Tool"
I like that Google Analytics is an established platform that many of my clients either trust or can seek educational resources for. Using Google Analytics has allowed my clients to make sales-driven changes to their web appearance and content. As a result, my business has benefitted by receiving returning customers and referrals. "Analytics in beautiful UI and comprehensible." Wish it had more updated documentation at times, at some point I found it difficult to implement certain things due to lack of it. There's other options for tracking Analytics, Firebase itself from Google is one, Fabric is another. The front end of the software is very easy to use, and Google offers free online trainings. The backened of the software sometimes does not match the information in the front end. Also the data is messy and requires a lot of work to clean up. We can easily track visitors to our website as well as their process through our purchase funnel. "Easy to use and understand. Data quality is key." Presentation of data is clean and easy to understand. Love that you can link reports that are similar. No way to alert you to anomalies in the presentation. Making reports look pretty is not easy for someone who isn't creatively skilled! Take the time to create a good report based on the KPIs that impact your business. Cluttering your reports will only make them more difficult to understand. Taking our most important KPIs and presenting them in a visual way helps us more easily understand what's happening with our business. It helps us make business decisions, or at least come up with a few directions we could move in. "Google Analytics for the Win"
By far the most important and note worthy features are layout and ease of use. Information overload for users that are not overly experienced in using GA. I highly recommend taking a lesson so that you can use GA to its fullest potential. We track all traffic from all channels including social, search, and organic. "Google Analytics—Sometimes Too Powerful To Be Useful"
It's free, and it has access to a whole wealth of data. It can generate reports that may be extremely useful. Sometimes, it requires too many clicks to see something very simple. For example, I find StatCounter's display of recent visitors more user-friendly than Google Analytics'. "Great product, can't wait to see what advancements are coming"
Google data studio is easy to use. Even people with no technical background can create beautiful reports to share with their teams. It can be a little slow when you create larger reports or when you have a large amount of people using it at the same time. This has allowed us to move away from spreadsheets to display our kpi's. It's allowed us to present these stats to our team in a more digestible fashion. Layout is a little wonky. Filters take a while to learn how to set up. VIEW screen and edit screen have big differences between the two. We have been using BIME by ZenDesk, but their solution is very pricey. Google's Data Studio offers the same functions at no additional cost! "Great Tool for Capturing WebSite Statistics"
Ease of Use. Standard Dashboards with the ability to drill down for more details as well as the ability to export the reports. Does not allow you to create dashboards with year over year data. It would be nice to have a simple comparison of this year vs. last year. Easy to get standard dashboards and reports for your websites. Ability to site track usage. To understand exactly what pages users are visiting and how much time they are spending on a given page. * We monitor all Google Data Studio reviews to prevent fraudulent reviews and keep review quality high. We do not post reviews by company employees or direct competitors. Validated reviews require the user to submit a screenshot of the product containing their user ID, in order to verify a user is an actual user of the product. Hi there! Are you looking to implement a solution like Google Data Studio?